THE NUMBER OF WOMEN GRADUATING IN CORE STEM SUBJECTS IS CONTINUING TO RISE IN THE UK AND, IN 2019 UNIVERSITY OF WOLVERHAMPTON STUDENT KATIE LEVERTON WILL JOIN THE NEW GENERATION OF TALENT. The ambitious 21-year-old from Walsall, who is studying for a degree in Motorsport Engineering with support from award-winning law firm FBC Manby Bowdler, is leading the way for female engineers across the Midlands. As a third-year student a heavy workload awaits in 2019, with dissertation deadlines and practical exams fast approaching, as well as a pivotal role in the University of Wolverhampton Racing team (UWR). By 2018, Katie had earned the position of Team Leader of UWR’s Formula 3 racing team, which achieved several podium places and secured third place in the Team Championship. 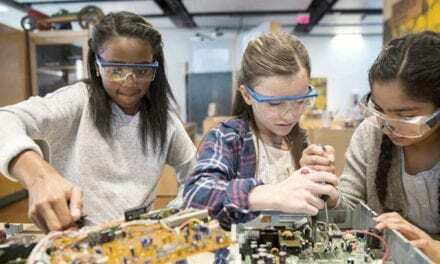 However, the passionate young engineer is undeterred and is already focused on developing her future career prospects. Aiming high The University has an enviable track record; almost 100% of its engineering graduates have gone on to work in the industry they love. Former students have gone on to roles with Mercedes F1, AMG Petronas Motorsport, Aston Martin and Rolls-Royce. Katie, who will be the University’s first female to graduate in Motor sport Engineering, has her sights set at least as high: her aspiration is firmly set on a career in Formula One. A desk job is definitely not on her list. She wants a technical, hands-on role that will place her trackside, at the very forefront of the racing action. “I’d absolutely love to work in Formula One. I get such a buzz from working trackside and the technical challenges it presents,” she said. “You have to be switched on, quick-thinking and ready to apply your practical skills, which is the bit I’m most passionate about. Katie already has a lot of trackside experience under her belt. She spent a year leading UWR‘s race team, which competes in the MSV Formula 3 Cup series. The ultra-competitive British Formula 3 scene was the training ground of such luminaries as Ayrton Senna and Lewis Hamilton. The UWR team is run entirely by the students and sponsored by FBC Manby Bowdler. In her final year, Katie will be part of a team that will design, develop and produce a Formula Student race car. In her first year of study Katie, who was awarded a bursary from FBC Manby Bowdler to help fund her studies, was appointed to the position of tyre technician on the UWR Team. In her second year she was promoted to Team Leader and chief mechanic, with overall responsibility for the car’s safety and performance. “It was an incredible experience,” she said. Initially, she sensed some of the other students were a bit touchy about having a female leader. “I felt like I had to prove myself pretty quickly. I think as a female you often feel like you have to be better than anyone else to earn your place.” She had a chance to prove herself quite quickly after taking on the role, when an incident at one of the races allowed her to demonstrate her capabilities and earn the team’s respect. “In my view it doesn’t matter whether you’re male or female if you have the right skills for the job,” Katie emphasised. Under her watch, the UWR team competed in 18 rounds of highly competitive racing during the 2018 race season. It secured a number of podium finishes and secured 3rd place in the MSVR F3 Cup Championships. UWR will be ready to race again in spring under a new leader and a further three female Motorsport Engineers have signed up to join the team, hoping to follow in Katie’s footsteps. Katie will be moving onto new projects as she gets stuck into the Institute of Mechanical Engineers (IMechE) Formula Student (FS) competition – Europe’s most established educational engineering competition. 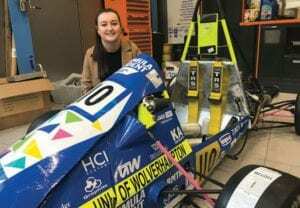 As part of FS, she and other student engineers at the University of Wolverhampton will have to design and produce a prototype for a single-seat race car for either autocross or sprint racing. The team will then have to present it to a hypothetical manufacturing firm. “It’s a huge undertaking and it will be a pretty big challenge balancing this project, lectures and other work but I’m really looking forward to putting a finished car on the ground,” Katie explained. “The challenge will draw on all the practical skills we learned in the racing team but will also give us an opportunity to demonstrate our design and manufacturing skills.” The hope is that the experience will equip her with the professional skills required to earn a place working for a leading Formula One team. Katie’s passion for all things technical and mechanical began in her teens as a student at Wednesfield High Academy – a specialist engineering school. At GCSE level she studied construction, which involved wood-working, brick laying and other practical skills. Her A Level choice comprised core STEM subjects – engineering, maths and physics. Ironically, at the start of her degree almost three years ago, she knew nothing at all about the mechanics of a car, let alone the technical nuts and bolts of a racing vehicle. She picked it all up very quickly. Terry Gibson, Development Manager for University of Wolverhampton and Sponsorships Manager of UWR, said that the University has invested heavily in the School of Engineering, with over £10million of new facilities and new equipment at the Telford Innovation Campus. “Sponsorship and charitable donations play a significant role in our motorsport and engineering programmes,” he said. “Without the support of companies like FBC Manby Bowdler, it wouldn’t be possible to give our students industry relevant experience, like the racing team, or encourage young people from a variety of backgrounds to get involved in engineering. “We’re looking forward to seeing even more female students at the School of Engineering in the coming years. 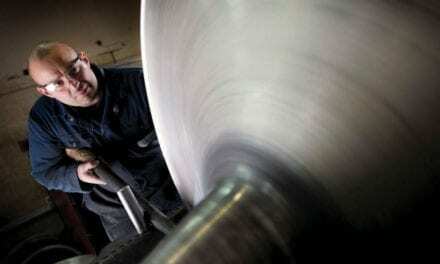 The Industrial Strategy – A New Beginning?